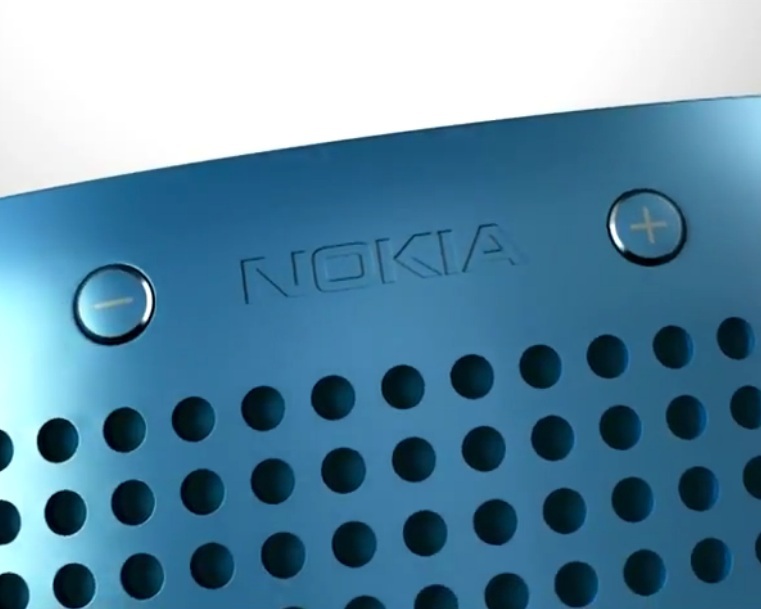 The Nokia Play 360 is no ordinary speaker. It’s a portable bluetooth speaker that you can plug in with the uual 3.5mm cables, BUT it is also NFC enabled. We saw this demoed today in the Nokia N9 presentaion. Just tap to pair up to the NFC bluetooth device. Even cooler – pair up two speakers. Marko mentioned something about stereo – and in the video you’ll hear the separation “left channel, right channel” for stereo sound. That’s pretty cool. The 360 part is because this is an upward directing speaker, channelling equally in 360 degrees. You can keep it plugged in (charged via MicroUSB) or play directly from batteries (20 hours).